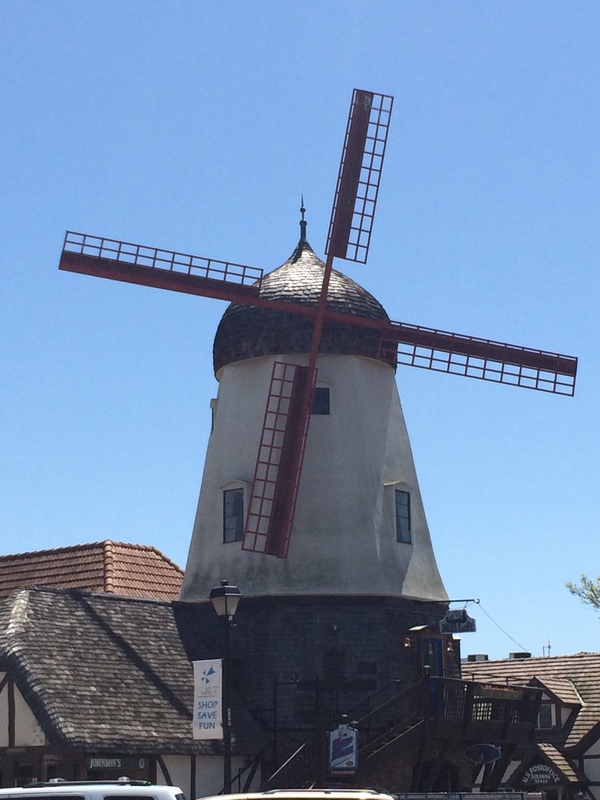 This past weekend I spent a lovely time in Solvang, California visiting some close friends. 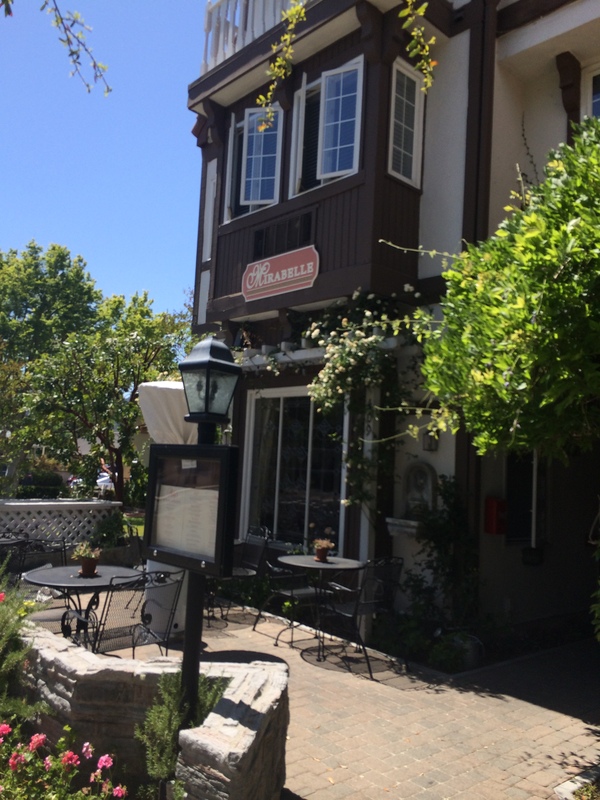 Solvang is about 25 miles from Santa Barbara off the 101 coastal highway~ I had never been to Solvang and was so pleasantly surprised by the charm and character of this town – population 5,000. 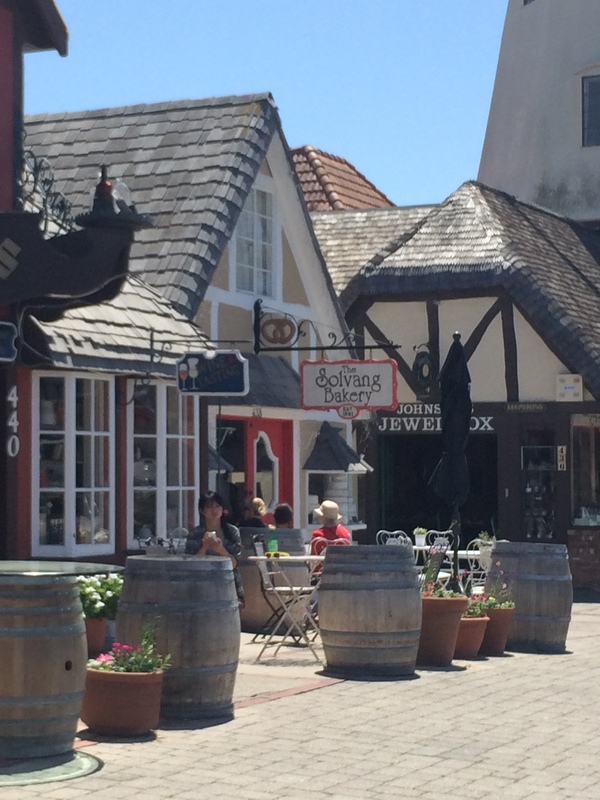 Solvang came to be just about 100 years ago when Danish immigrants settled in the valley off the coast. The Danish charm and essence has been pridefully maintained and everything from the architecture to the pastries are Danish. So much fun! 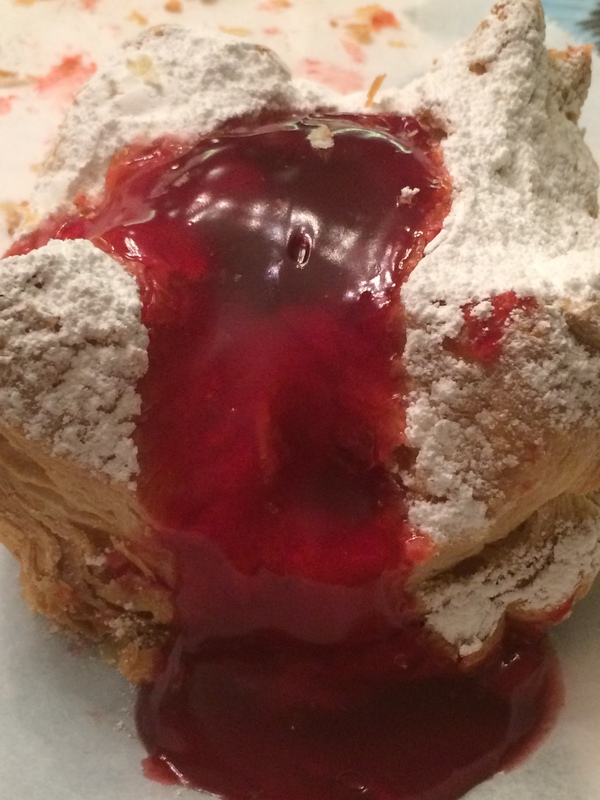 Started the day with a cherry filled Danish pastry….of course being a chef I had to immediately see the bakeries! Then we walked around ….admiring the buildings. 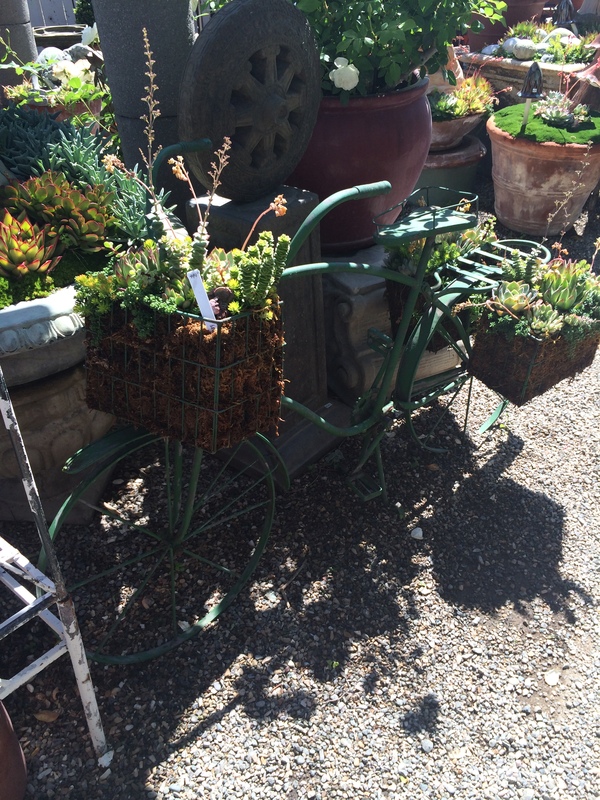 We also popped into some small antique shops which I of course wanted to take everything home. I need some of this Danish charm in my house! 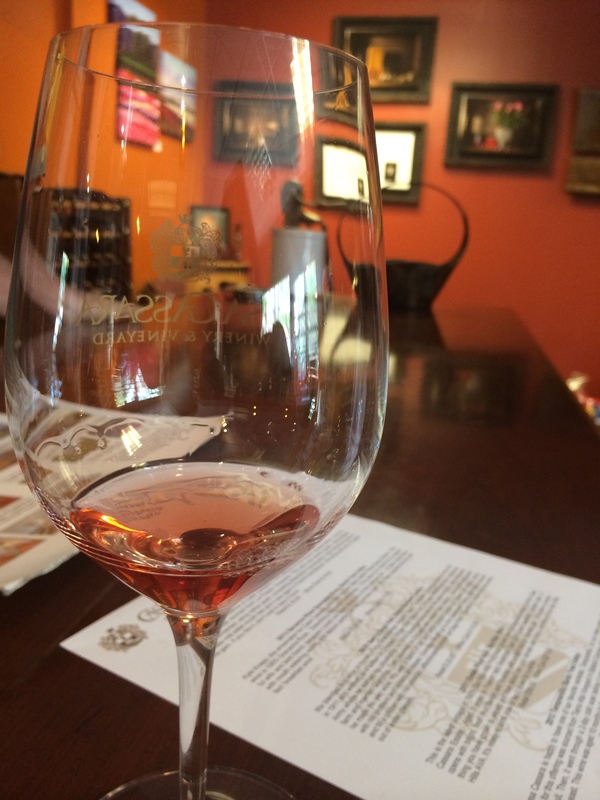 Next, we were onto Wine tasting! 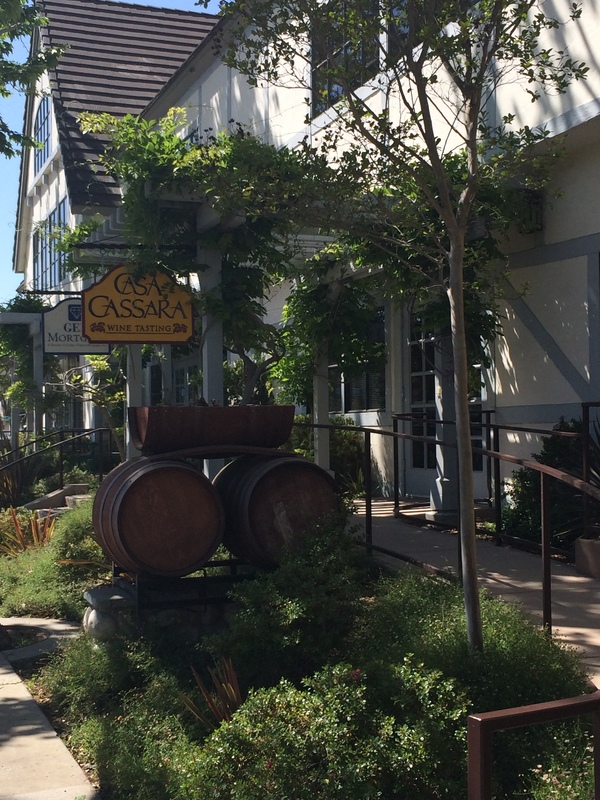 There are wine tasting rooms all through the town. I could not believe the vibe- how cool! And the best part is it is $10 dollars to taste FIVE wines at most of them. 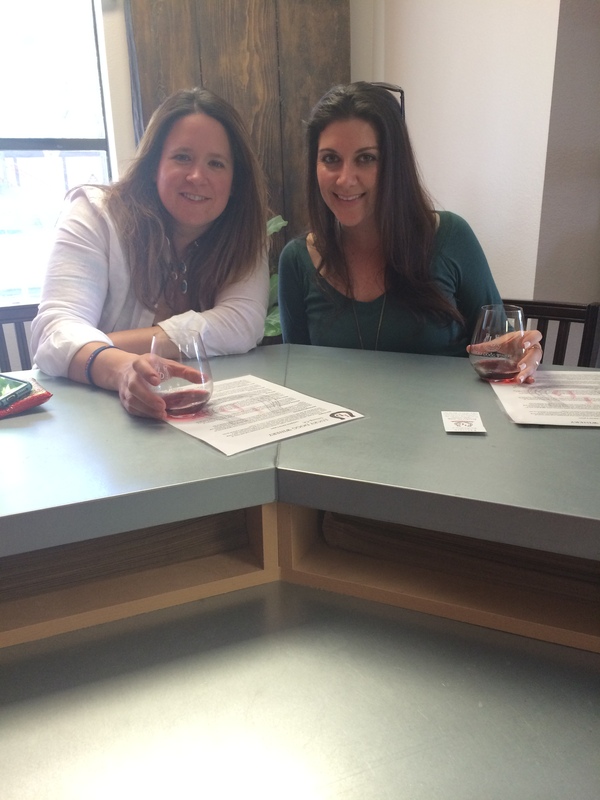 We stopped at three tasting rooms! I bought a bottle of my favorite from the day and took brochures with me to contemplate joining the wine clubs! This is me and my dear friend Joy~ She is a joy! She purchased a property right in the town and has two vacation rentals she rents out to Solvang tourists. She is living the dream here~ a walk to wine tasting! Yes please! Then we took a little rest, had some cheese in the garden…and it was off to a very French dinner! 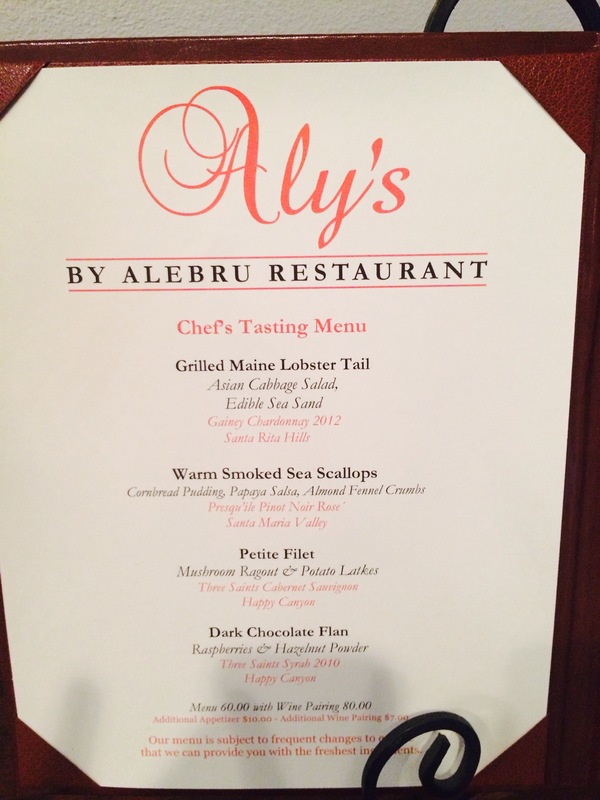 There is an adorable B&B called Mirabelle in the center of town…within it a french fine dining restaurant called Aly’s. This is where we decided to dine. 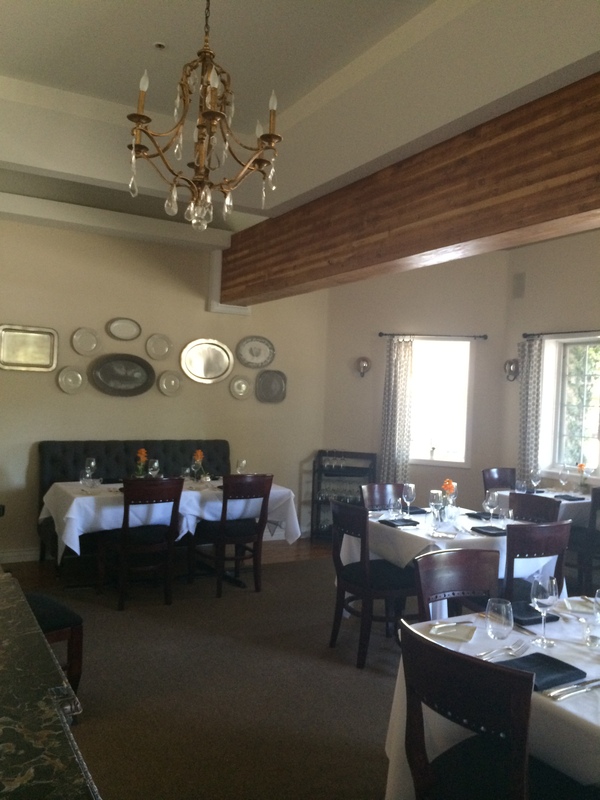 Aly, and her husband Richard are from Brazil, moved to Solvang and opened this space up. It is beyond adorable and the food was heavenly! 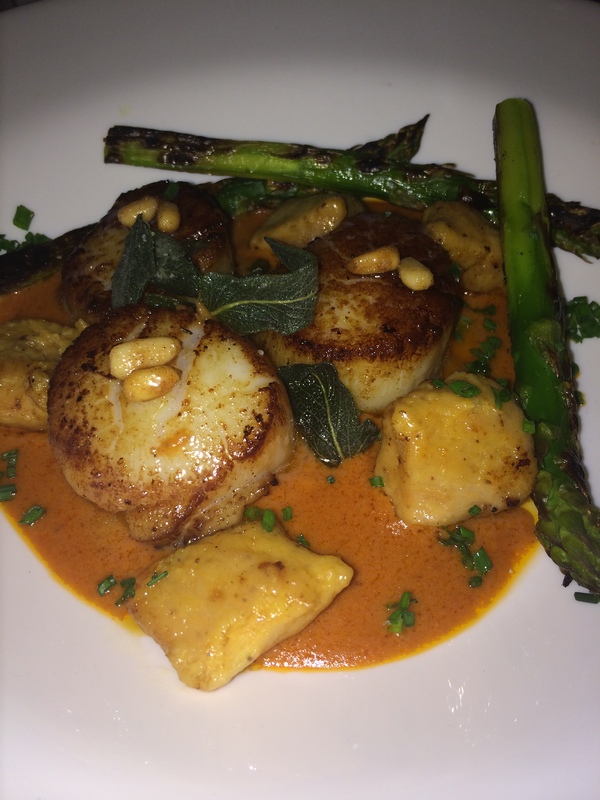 Scallops with pumpkin gnocchi…in this mouthwatering sauce with grilled asparagus. 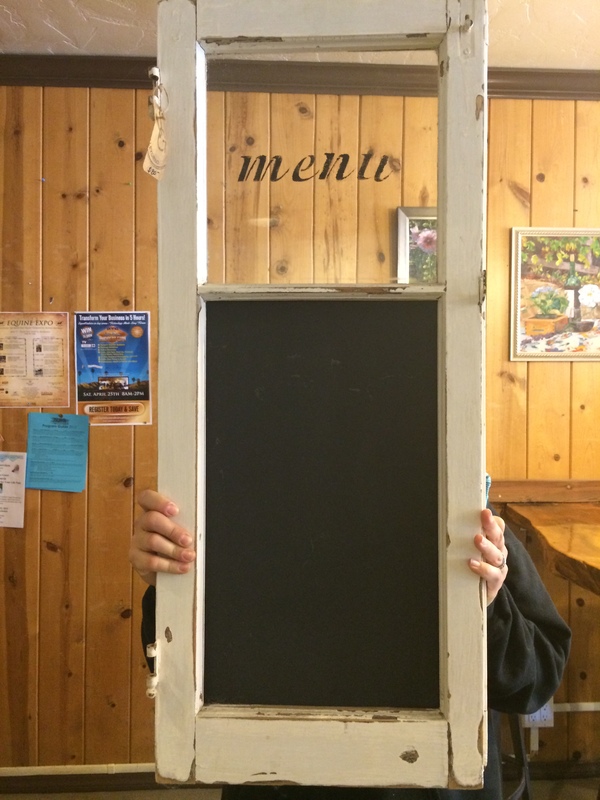 We gave this restaurant a huge gold star. We are tough critics…Joy and I used to manage a restaurant together years ago so we know our stuff! Oh my! I just had the most amazing weekend! I cannot recommend Solvang enough. This town is perfect for a girls trip, a romantic weekend or honestly coming and adventuring solo. Everyone here is so nice! Joy, thank you for taking me through this lovely town- I feel like I experienced it all even in a short period of time! 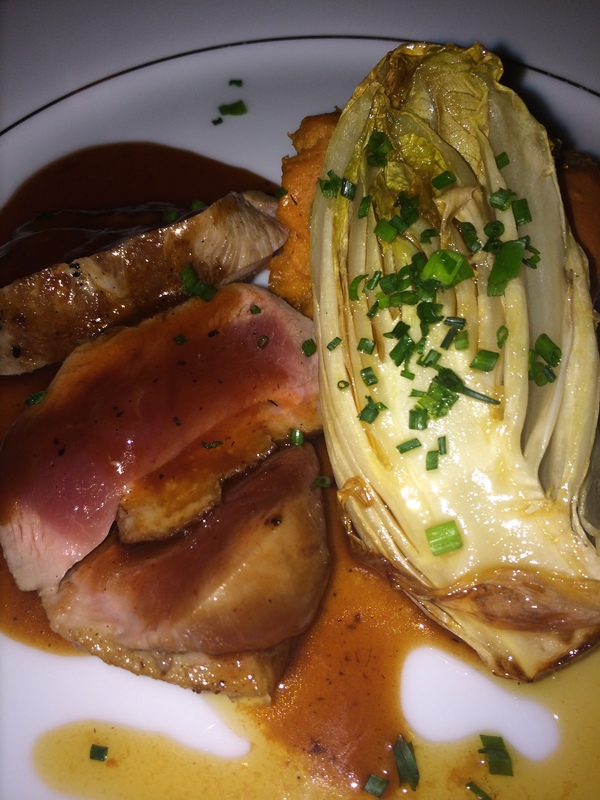 I will definitely be back here…. Wow what a fun trip! Beautiful pictures and descriptions. I will have to put it on my travel list! Thanks for sharing your fun weekend! Looks like you had a great time! I want to go next time. Looks perfect! So glad you loved it. And, I can’t wait to see that little gem you purchased!! LOVE Solvang! So glad you got to experience this!! 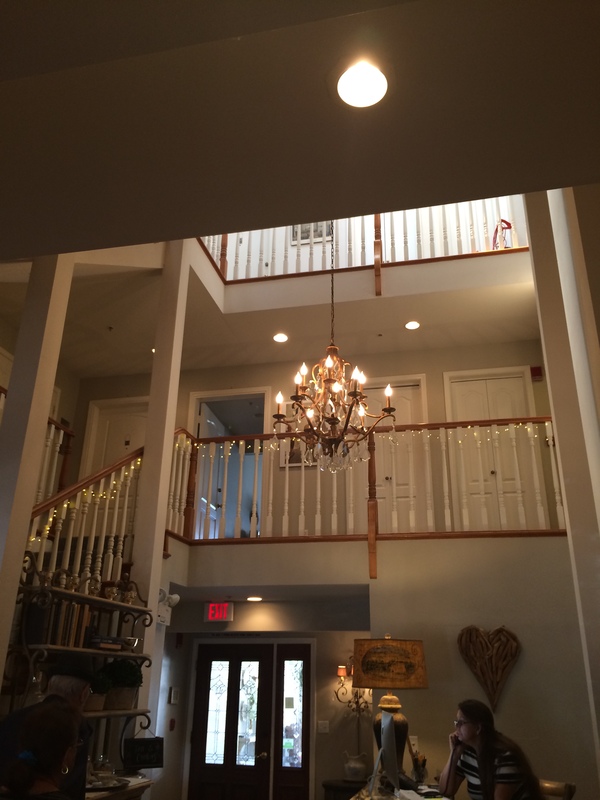 What a beautiful little getaway Krista and right in your nick of the woods! You continue to inspire me with your food and travel adventures. I love keeping up with you wherever you go! Love always, Angie.